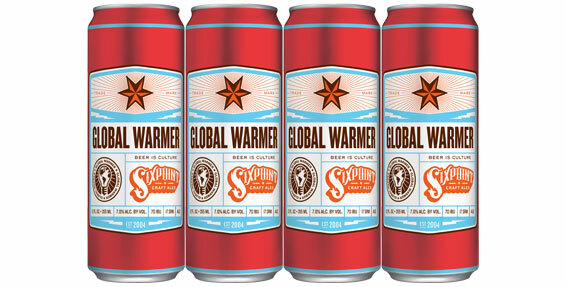 In honor of the recent Global Warmer release, Sixpoint Founder and President Shane Welch hosted a Global Tasting of the new brew with beer experts spanning the country and the globe. While it was not strictly global as in worldwide, the tasting did include beer personalities from across the USA and also Brazil. The tasting’s aim was twofold— to extend the conversation about the shifting state of winter beer, and to embrace ways in which technology facilitates shared experiences. Beer is Culture, and technology extends that culture across many time zones. First impressions of the beer begin. Adam and Shane talk hop specifics, breeding and strains. Jan talks about his beer creation goals and what balance in a beer means. James and Shane talk about a beer that served as a bit of inspiration for the Global Warmer, and Shane tells the story of how 30-year-old yeast made it into that beer. Shane and Jan discuss how the recipe might be tweaked next year, creepers, and the constant struggle to reach the pinnacle of brewing. Shane poses the question… what are your favorite winter beers?